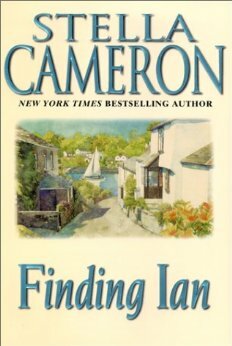 FINDING IAN is about Byron Frazer, a man who is easy on the mind and heart, and the eyes . . . Anyone who knew Byron in his lean college days wouldn’t recognize the confident, successful, charismatic loner he is today. He lives a double life. The public thinks he’s got everything going for him, but in private he wrestles with old guilt and doubts he’ll ever find what he wants–someone to make him complete. When he was twenty-one, Byron became the father of a baby boy. The child was left in his care but he couldn’t look after him–mostly because there was no money. Byron gave up his son and spent the next thirteen years telling himself he’d done the right thing. But he doesn’t believe that now and probably never did. A journey to Cornwall, England, “just to check on the boy,” turns into a face-to-face encounter with what life could become if the stars shine on Byron. He meets Jade Perron, a woman whose world is so different from Byron’s that they ought to need an interpreter, but they don’t. These two are a tornado together, in almost every way, and they become addicted to each other, but Byron’s son, Ian, could make it impossible for Byron and Jade to have a future. This entry was posted in Books, Contemporary Romance by Degan Outridge. Bookmark the permalink.